Jack Bauer (played by Kiefer Sutherland), the CTU agent in the tv series 24, wears a Rolex Submariner Date 16610 (black face and black dial) in the first season. In the episode from 7-8pm, we seee the first close up of the watch that Bauer has been wearing since then. When he walks up a hidden underground prison, Bauer checks his watch to see if it's already 7:20pm. 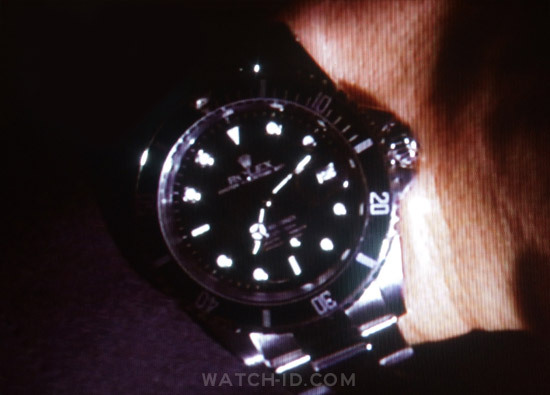 It has been suggested that the watch used for the filming was a replica Rolex but this is not confirmed. 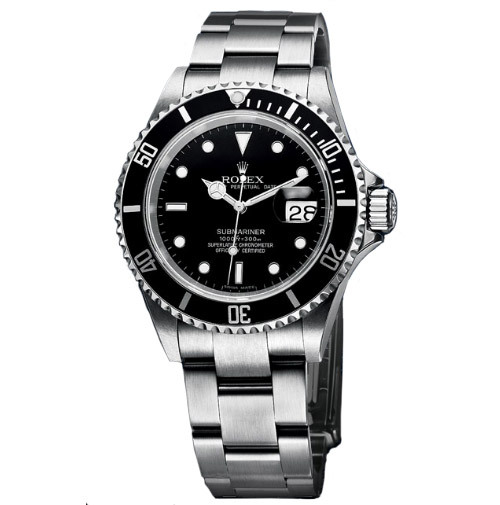 The Submariner is a well-known and popular Rolex watch. The model is also worn in the early James Bond films.